A few weeks back, an email caught my eye from the depths of my Junk Mail folder. As it turned out, a dear college friend of mine, Bennett R. Coles, had mentored under author Mary Rosenblum (as I had), and when Mary referenced the interview I’d done with her in one of her recent newsletters, Ben had connected the dots, figuring out that we knew each other, and reached out to me. And as it turns out, he’s now an award-winning sci-fi author who’s experienced both the self-publishing side of things and the traditional publishing route as well. 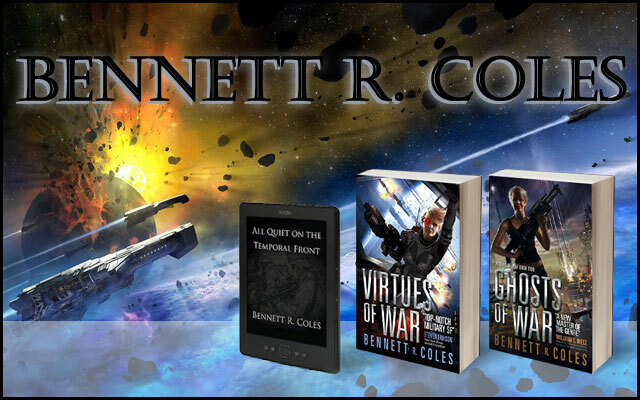 Bennett R. Coles served 15 years as a naval officer and United Nations military observer. His first novel, Virtues of War, published in 2010 to critical acclaim and drew upon his years in uniform to create an ultra-realistic portrayal of military life and combat. The first two novels in this series were recently re-released by Titan Books, with a third book targeted for 2017. Bennett also somehow finds the time to head up the maverick publishing company Promontory Press. He makes his home in Victoria, Canada with his wife and two children. How and when did you first realize that you wanted to write and publish a book of your own? I’ve been writing stories since I was twelve, so creative storytelling has been a huge part of my life for a long time. I did a lot of writing in my teens and twenties, and while I took it seriously as an artist I never really expected any of it to get published. It wasn’t until my early thirties, and the idea for Virtues of War, that I finally told myself that it was time to get serious. THIS book was going all the way. As for publishing options, I never intended originally to do it myself. I did the usual query letter / submission route for over a year before I began to notice a trend. What ultimately led you to the decision to self-publish your series? There were two things that convinced me to take a serious look at self-publishing. The first was the sheer speed with which the rejection emails were coming back from agents (I seriously wonder if some of them have the rejection set up on auto-reply). The rejections themselves weren’t the problem – it was the clear fact that the agent hadn’t even had time to read my sample. I did some further research and have to guess that the agent scanned the query letter, saw that my book wasn’t EXACTLY what they were currently looking for (likely zombies, in those days) and then rejected it. It made me realize that agents have thousands of submissions to choose from and they can afford to be so picky that they don’t even need to read the writing samples unless the subject of the book is the current “hot” genre or topic. Publishing has always had harsh gatekeepers, but this arbitrariness struck me as not right. Already disillusioned, I spoke to my mentor and former writing instructor Mary Rosenblum. 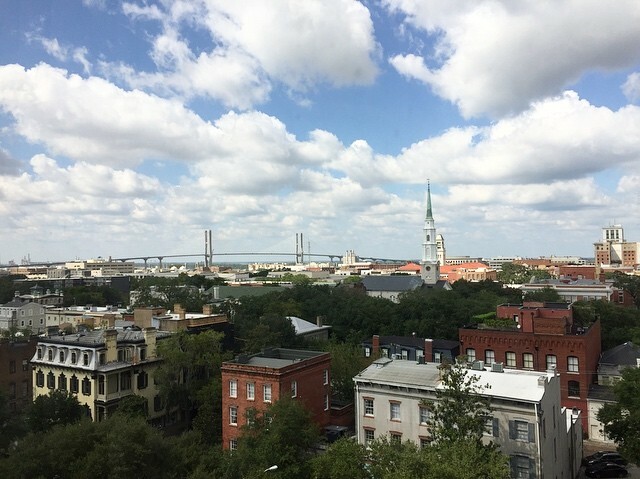 Mary is a very successful traditional author, but even back in 2010, she’d seen that there was a bright future for self-publishing, and she suggested I give it a try. Of note, I didn’t use any self-publishing company (Createspace didn’t exist back then) – I produced market-ready printed books truly on my own. I found my own editor, cover designer and printer, and I did the typesetting myself (which I don’t recommend, by the way…). How did you market your books when you originally released them? Was your marketing strategy a success in your mind? If so, what contributed the most to that success? I’m very comfortable getting in front of people, so I made a lot of use of personal appearances, book signings and talks on writing. These generally worked well, but this method was limited to how far I could physically travel. At the time I lived in Vancouver, so I was lucky enough to have a large metropolitan area to tour around, but within a few months, I’d mostly exhausted even that large market. At the same time, I started an online marketing campaign. This included a snazzy website, a regular blog, participating in writing forums, military forums and science fiction forums and periodic promotions on Facebook and Twitter. It’s very hard to say how successful this was, as tracking sales back to any of these efforts is very hard, but it did help to raise my profile as an author and get the book out there. The problem was, I hated doing it, and could only keep it up for about six months before I started to burn out. The key to any online marketing campaign is the website. Here you can control your message, shamelessly promote yourself and your book, and – most importantly – no-one else owns the space. I’ve heard (and experienced) enough horror stories of Facebook, Amazon or someone else shutting down an author’s campaign on their platform. No explanation, no discussion: just shut down. If you own your own website and make it the core of your marketing, you can then use third-party social media to direct people toward it. What was the evolution of the number of books you sold when you first self-published your series? What price(s) did you target? Did you toy with other prices, discounts, or special offers and if so, were they successful in driving your sales up in any sustained way? I sold about 500 print copies in the first six months, mostly to my personal network, local groups I’d presented to, and through local bookstores. At this point, I realized that the only way to make the book really fly was to get it into bookstores nationally, and thus began my quest to obtain national distribution to bookstores. A year later I succeeded (bloodied, exhausted and poorer) and that saw a big boost in sales up to about 2000. I originally wanted to set the price of the book at $15.99, but after calculating the cost of printing and shipping, at the last minute I upped it to $21.99 – and good thing, too. I didn’t know originally that indie bookstores take 40% of the retail price and Chapters-Indigo takes 50%. I never really played with the price simply because I couldn’t afford to. Again, this was in 2010, before CreateSpace and Ingram Spark existed and when ebooks were still in their infancy. I would definitely recommend that self-published authors today play with promotional discounts – especially with ebooks – and see how it goes. When and how did Titan Books finally approach you to traditionally publish your series? I’d just released my second book, then called Casualties of War, and my self-publishing efforts had by now grown into a full-fledged publishing house called Promontory Press. Promontory had national distribution, a curated list of titles by excellent authors, and a whole system for getting books to market. I’d basically turned away from ever contacting New York about publishing again. Then something remarkable happened. A world-class, best-selling SF/fantasy author named Steven Erikson just happened to live in Victoria and just happened to wander into a local bookstore, looking for some good science fiction. He noticed Virtues of War on the shelf, liked the look of the cover, noted that it was (by then) an award-winner and took a chance. He bought it, loved it, promptly bought the sequel (barely four weeks after its release), loved it – and then contacted me on Facebook out of the blue. Long story short, Steve and I met for coffee, got talking about writing and he offered to connect me with his agent in New York. The connection was made, and my new agent pitched my books (as a trilogy) around New York. A lovely little bidding war happened and Titan emerged with the rights. – Most of all, written the very best story I could, listened to my editor and implemented her changes, and generally produced a book that managed to shine. Every artistic success story involves a certain degree of luck, but that luck will never happen if you haven’t given your very best efforts beforehand. The first book in your Virtues of War series was rereleased by Titan a little over a year ago, with the second book (Ghosts of War) just released this month. How has the experience of being traditionally published by a major publishing house stood up, in relation to what you expected? I think the most important thing that an author needs to understand when they sign traditionally is that they are not the publisher’s first project. There is an entire team of people working to support the book, but they have plenty of other projects on the go and many deadlines to hit. Most people that work at publishing houses are very nice, but they’re also very busy and they don’t have time to be best buds with every author. While the book is an author’s pride and joy, it is just another project for the team at the publishing house. It’s important to remember this distinction. Beyond getting your book(s) into brick and mortar stores, what doors do you feel traditional publishing can open for you, that self-publishing can’t (if any)? Distribution to brick and mortar stores is by far and away the biggest advantage of publishing traditionally. The fact that the author gets paid is the second. Beyond that, it really comes down to the individual author. A trade publisher will definitely ensure that your book is top quality, inside and out, but a savvy author can find these services in equal quality in the self-publishing world. Publishers do have access to powerful marketing channels, but publishers only give each title about a month’s worth of attention before it goes onto the backlist and is forgotten. The author is expected to do the rest of ongoing marketing on their own – no different from self-publishing. A fear (on my part) with the idea of self-publishing is the simple question of knowing when a book is “good enough.” I realize that seems rather trivial at first glance, but for me it’s essentially a fear of commitment: I see how far my manuscript has come over the years (with each subsequent round of revision, and/or with each new round of beta feedback I get) and I’m hesitant to stick my neck out and actually call it “done.” With traditionally publishing, the pressure of “calling it” is partially on the shoulders of professionals (agents and editors). Whereas with self-publishing, it’s all on the author. How did you decide your books were ready to publish when you first went the self-publishing route? And did you see any great changes in your books between what you self-published and what was ultimately approved by Titan? This is a very good point. As authors we always question ourselves, and it’s easy to talk ourselves out of taking the plunge. The best way to figure out whether the book is truly ready is to invest a few hundred dollars and get a professional “manuscript evaluation” done by an editor who doesn’t know you personally. Less than an edit, an evaluation is designed specifically to point out a manuscript’s strengths and weaknesses, and to place it on the scale of “readiness” for publication. I recommend every author do this before submitting to an agent. You want to ensure that your book is the best it can possibly be before you throw it out to the publishing wolves. Remember, you only get one chance, and both agents and submissions editors want to receive a manuscript which is ready for publication – they don’t have time for projects. The Titan versions of my books do have changes from the original Promontory versions, but these are mostly stylistic. Titan wanted the chapters in Virtues of War to be shorter, for example, in order to ratchet up the pace, and so most of the original chapters were cut in two at a sensible point. It’s hard to say which version of the book is “better” – they’re just subtly different and those differences are based primarily on the preferences of the editor. As the author, I can see the strengths of both versions. Do you have any more books planned for your Virtues of War series? And if so, when can we expect to see them either in stores and/or online? Book III is called March of War and it will round out the trilogy in 2017. My editor and I have talked about follow-on books in this series, but time will tell. I’m already working on a new project (still science fiction, but quite different from the Virtues of War series) and maybe that will be the next series of books you’ll see on shelves. In Leviathan, Thomas Hobbes wrote “Force and fraud are in war the two cardinal virtues” and Ben has focused on this uneasy reality in his military sci-fi series. His characters are flawed and struggle to live by their own warped moral compasses in dangerous and uncertain situations. The character arcs really came to a satisfying end in book one and I can’t wait to start on book two now that it’s out. 🙂 Thanks so much for taking the time to answer my questions, Ben! And best of luck in finishing off book #3! This article originally appeared on http://myscifilife.com/ and was written by A. Lee Ripley.